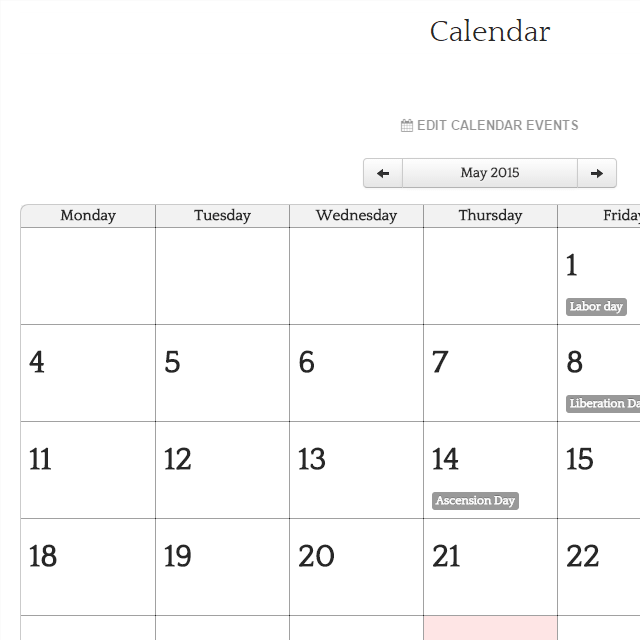 This new topic allows you to easily display a schedule with events on your website. 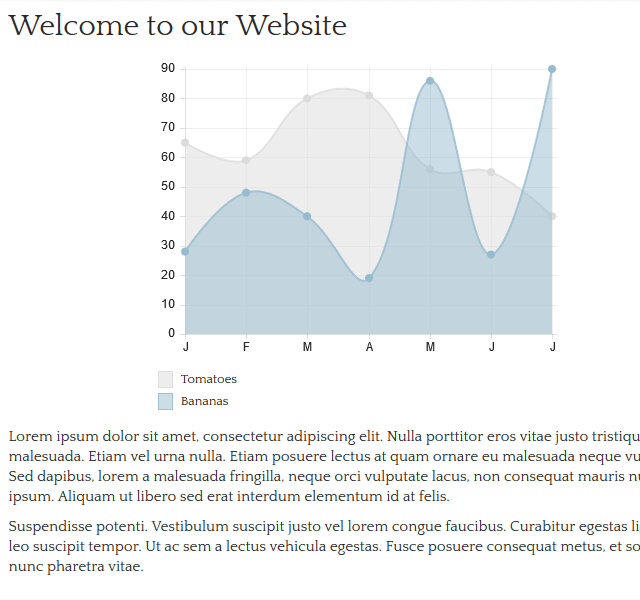 The calendar is responsive and adjusts its display to all screen formats. Navigation through the photo albums has been improved (larger icons over the pictures, ability to navigate with the arrow keys), and the photos can now be displayed in full-screen but also optimized for the responsive design and for Retina devices: the most optimal image is served in real-time to the visitor given the pixel density and resolution of its screen, and there's no more page reloading when changing photo, which makes much more fluid navigation. All standard touch gestures are supported (swipe to change picture, "double tap" to zoom, etc). 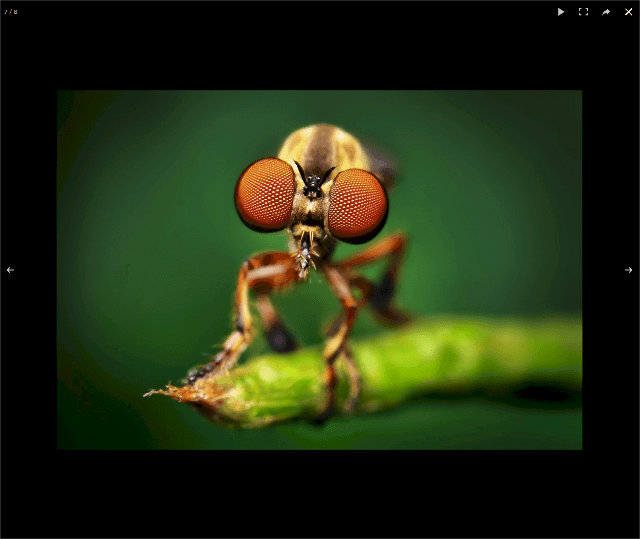 Displays a zoomed version of an image when the mouse hovers the picture. The zoomed image can be displayed in-place or aside the picture. The effect also works on smartphones & tablets with a "tap" as these devices have no hover event. 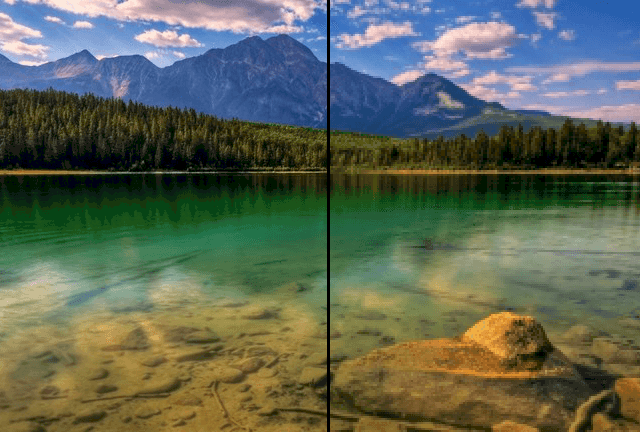 For a demonstration, move your mouse over the image aside or click on the part you want to enlarge. 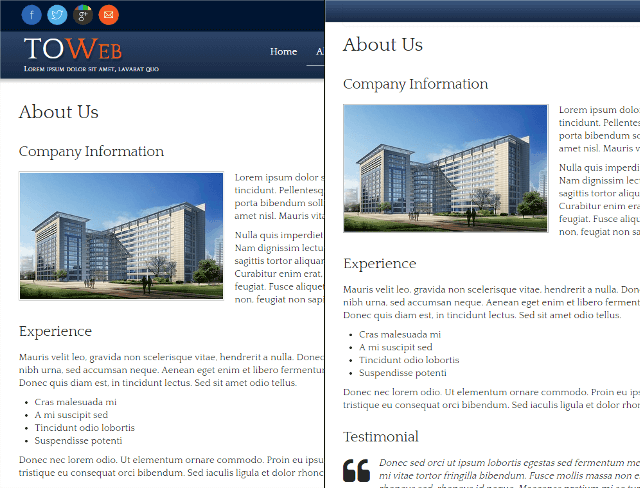 Displays a colored ribbon with a short text over an image in the upper right corner, for example to indicate a promotion or a new version. The text and color of the ribbon are customizable. 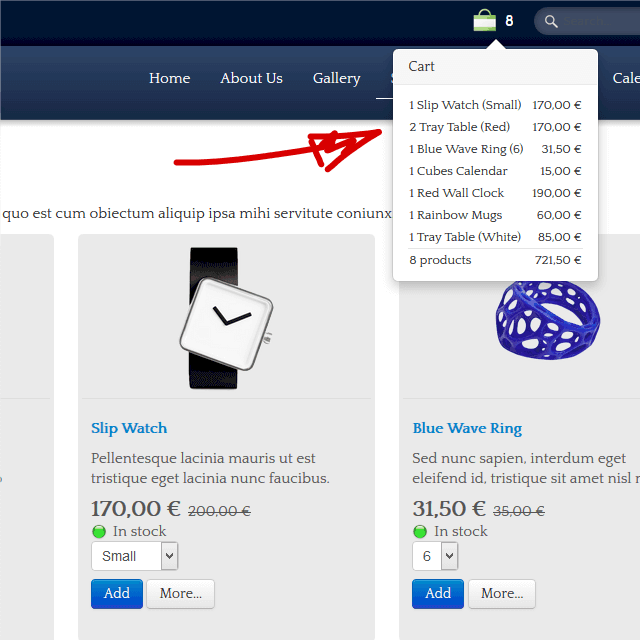 • A summary of the order is displayed when the mouse is moved over the shopping cart icon. 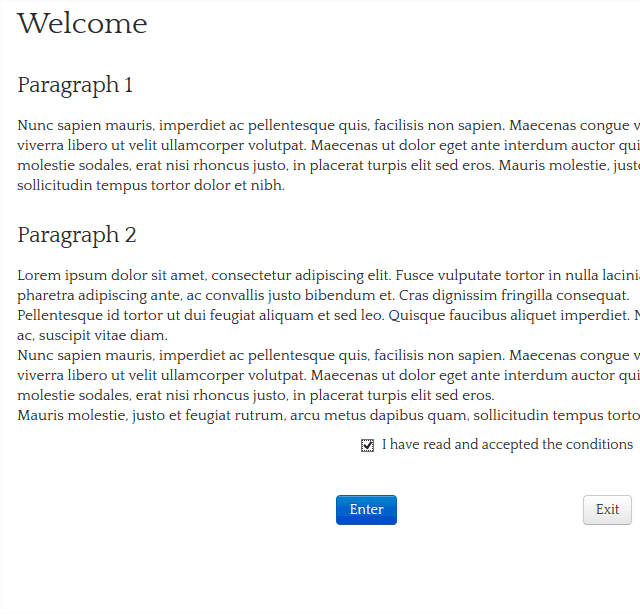 • Report of custom fields values in the order form. • Reminder of ordered products in the payment instructions. • Ability to send an email to the customer with a link to its order. • Customizable logo & introduction of the order form. You can now define relationships between products to display suggestions or complementary products to the visitors at the end of each product page. This allows you to do "cross selling" (suggest additional articles to the one consulted, for example proposing the article "Memory Card" on the product page of a camera) and "up selling" (suggest articles in the upper price range that the one consulted). 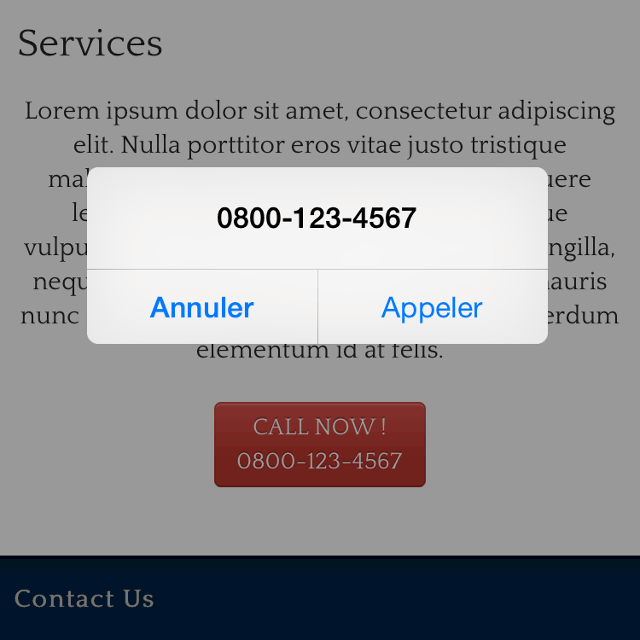 New link type "Phone number"
This new type of link allows you to add a button "Click to call" inside a paragraph to automatically dial the number on a smartphone. In addition you can now show/hide a link/button depending if the visitor uses a mobile or not. 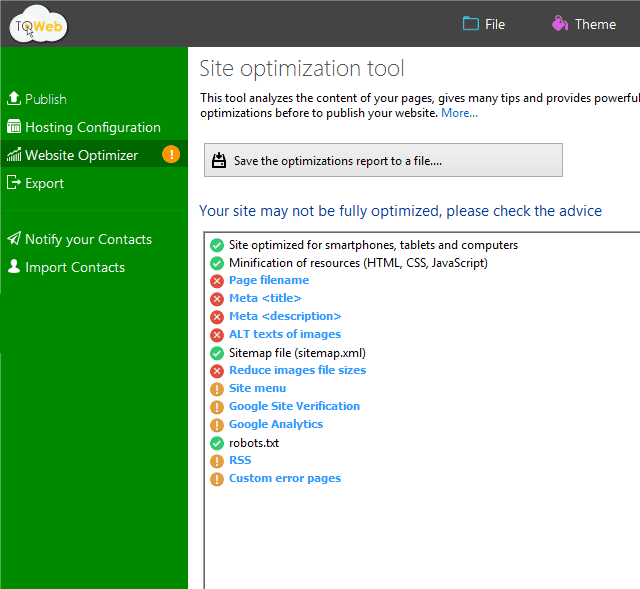 This allows you to customize your links and their target depending on the device used to visit your site. The button displayed when the menu is folded (on smartphones) can now be presented as text or icon, and you can now request that the menu is always or never folded. 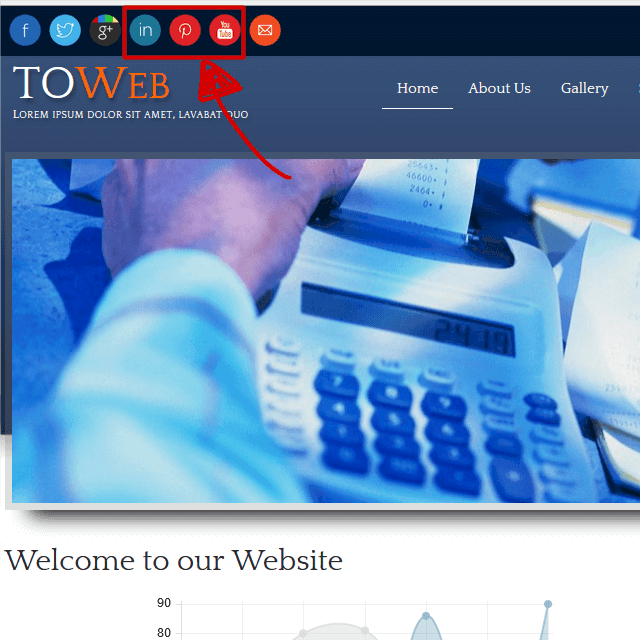 And now the submenus of your website automatically open when the mouse hovers the menu with no click needed. 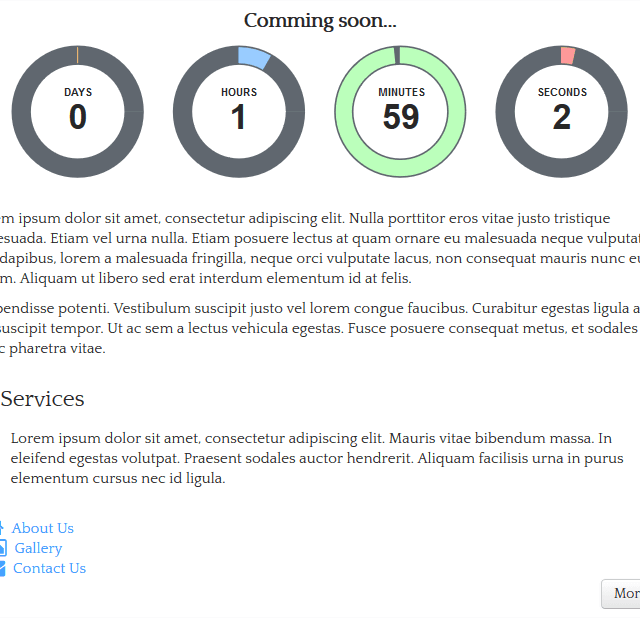 Buttons for YouTube, Instagram, LinkedIn and Pinterest can now be added to your theme and 8 new button styles are usable by all the themes (Button, Circle, Circle Black, Pencil, Pencil black, Round medal, Simple lines , Watercolor). 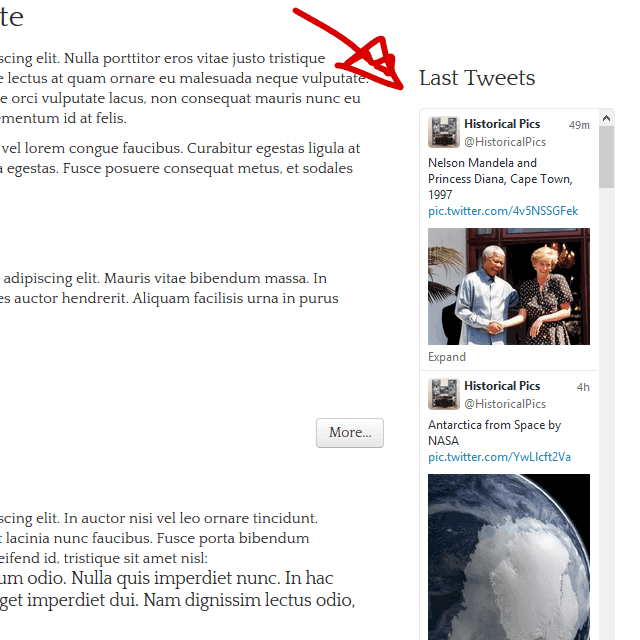 In addition, LinkedIn has been added to the social/share buttons and can be displayed inside paragraphs of your topics. 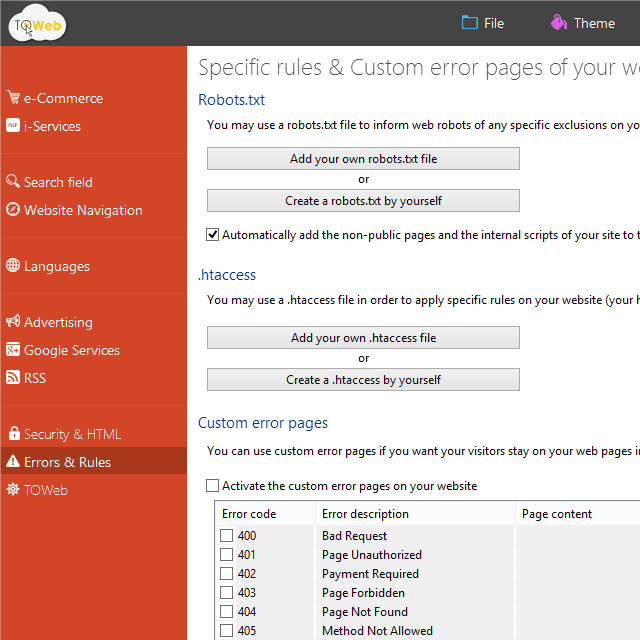 • Management of the robots.txt file of your site to add any exclusions and forbid search engines to crawl certain parts of your site. 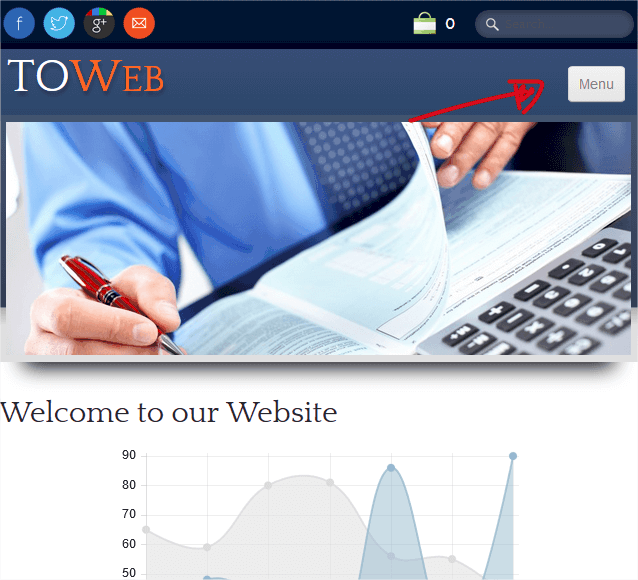 • Management of the .htaccess file directly from TOWeb to define access, redirection and all the rewriting rules of your site. 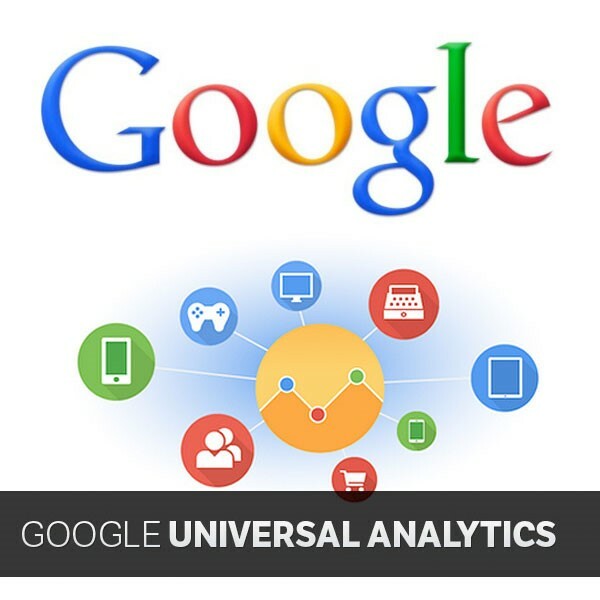 Supports the new "Google Universal Analytics"
• A new search field at the top of the "Topics" step of TOWeb allows you to search and move directly to a word inside a page. 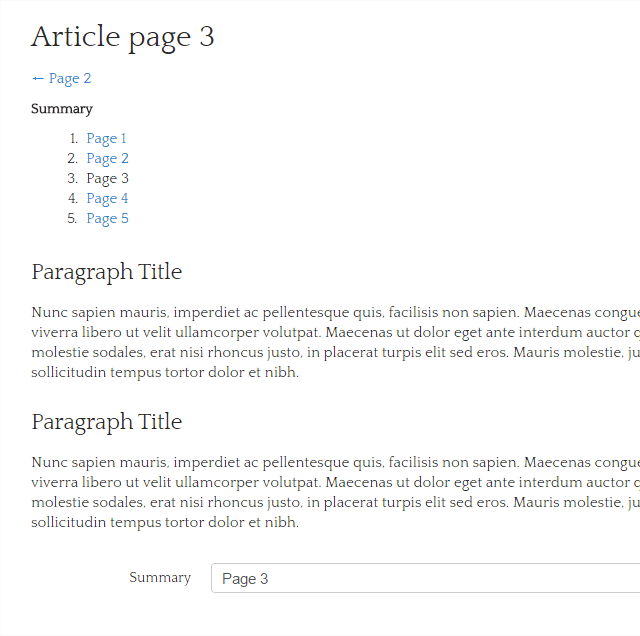 • The creation of groups of topics is now assisted. 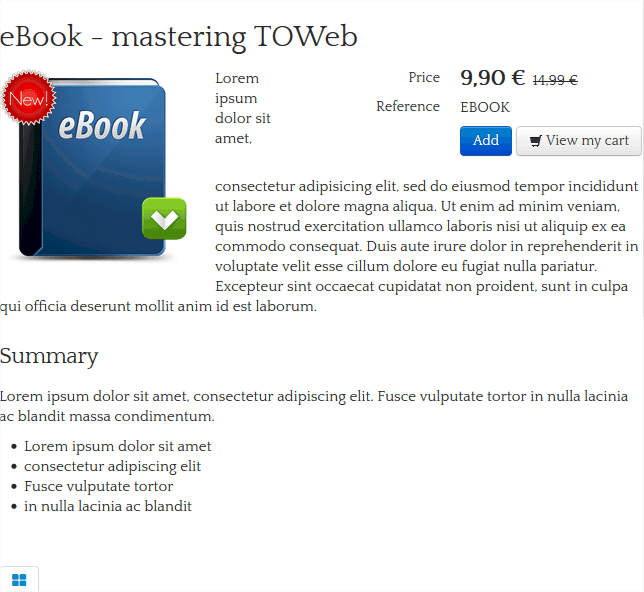 • The BackOffice features of e-commerce are now grouped in a new i-service, and the access to the BackOffice from TOWeb do not require anymore the login and password. 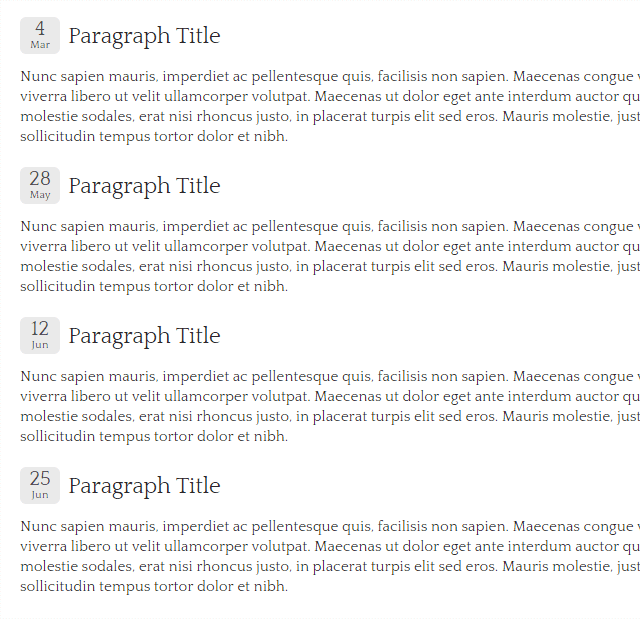 • You can now set a paragraph as "Hidden" or "Not published", for example to prepare it in advance and publish it later. 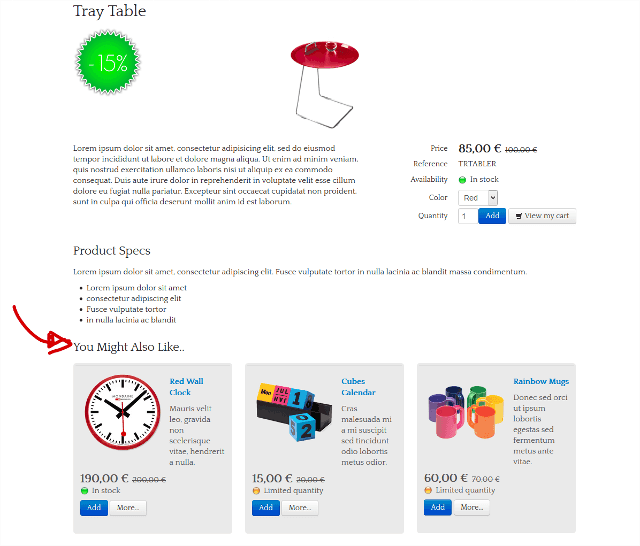 • Improved design of the "lightbox" that displays magnified images (as in this page), overlayed topics or terms of sales.